It rises from the desert into the sky, surpassing the surrounding skyscrapers as if they were miniature toys. Its needle-like spire reaching towards the heavens, casting a shadow for a mile. 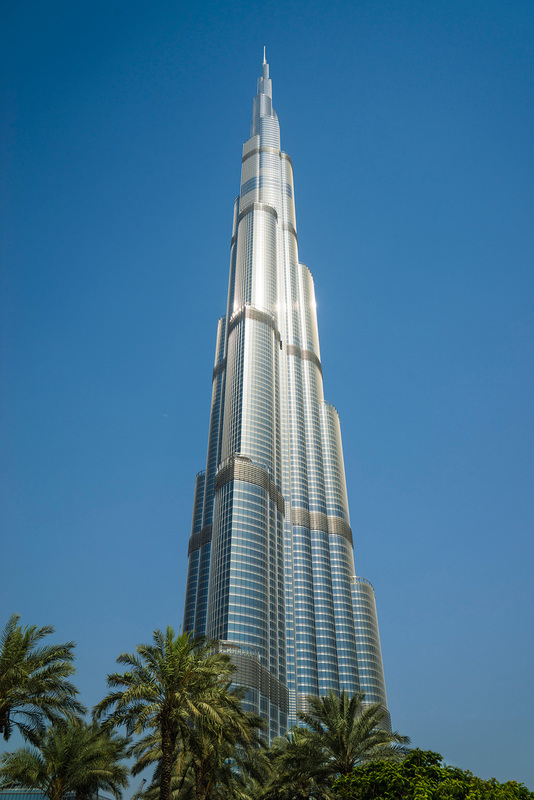 The Burj Khalifa is the tallest building in the world, and it is worth conquering. It’s no wonder why so many people want to get a view from the top. 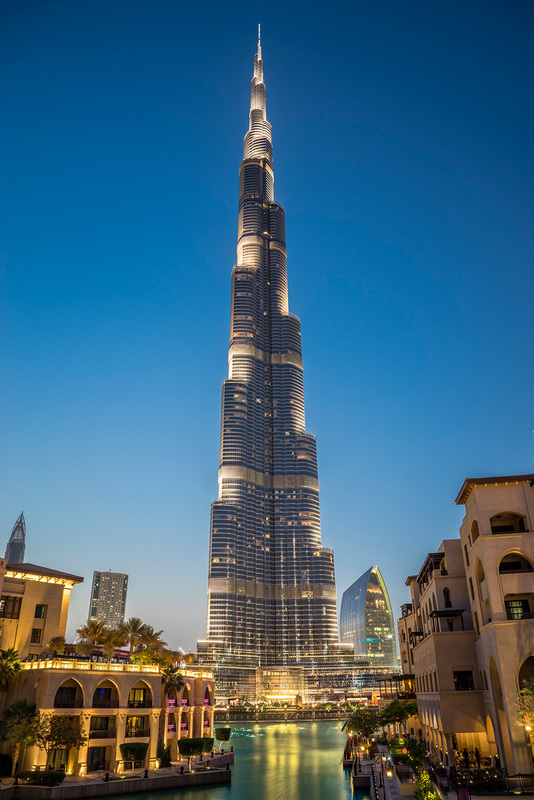 Here’s what you need to know to plan your visit to the Burj Khalifa. While you can’t go wrong anytime during the day, most people would agree that the best time to visit the Burj Khalifa is just before sunset. (I’m not sure the sun “sets” in Dubai; it just disappears into the haze.) If you arrive early enough you can take pictures from the top during the daylight hours, throughout sunset and blue hour, and then into the evening. Tickets for “prime hours” (which is when sunset will occur, with time fluctuating throughout the year) increase in price by AED 75 ($20.42). We recommend purchasing a ticket just before prime hours begin and just plan on spending a couple hours at the top. Your ticket defines only your entrance time. You can stay up at the top as long as you want. In order to be able to hang, run, and jump off the side of the tallest building in the world, Tom Cruise fired the insurance company that was insuring the movie Mission: Impossible – Ghost Protocol so that he could perform his own stunts. The Burj Khalifa has two observation decks. The lower outdoor observation deck known as At the Top is located on the 124th floor and allows visitors to soak in the view from 452 meters (1,483 ft) above the earth. When it opened in 2010, it was the highest observation deck in the world. When it was surpassed by the observation deck on the Canton Tower in China, a second indoor observation deck known as At the Top Sky was opened on the 148th floor at 555 meters (1,821 ft). Ticket prices vary depending on which observation deck and what time of day you wish to go up. While tickets can be purchased from the entrance in the lower ground level of the Dubai Mall near the Café Court, they are are often sold out once you arrive. We highly recommend you purchase tickets online in advance – even as much as a couple weeks ahead of time during high season – as tickets purchase on the spot cost 75% more! In addition to purchasing tickets to the observation decks, tickets can be purchased to dine in the restaurant on the 122nd floor during your visit. For an extra cost, a Fast Track ticket gives you priority access, allowing you to skip the elevator queues. *Ticket prices and prime hours are subject to change. Please refer to the Burj Khalifa website for the most accurate times and pricing. It’s up to you how long you want to spend at the top, but the average stay is about one hour. Be sure to plan a lead time of about 1 hour to get to the top. The 22 mph (35 kph) elevators reach the observation deck in about a minute, but the queue to reach the elevator may be lengthy. The At the Top observation deck has both indoor and outdoor areas. The indoor area comprises three-quarters of the observation deck and offers views to the north, west, and south. The indoor deck is air conditioned and surrounded by full length panels of glass. A gift shop is available to purchase souvenirs, but not food. The outdoor observation deck comprises the remaining one-quarter of the floor and offers views to the south, east, and north. Temperatures at the top are mild – about 15 degrees cooler than at the building’s base. Large glass panels prevent wind from harassing visitors. There are horizontal spaces in the glass for photography. There are no chairs or benches on the lower observation deck, so wear comfortable shoes and be prepared to stand for the duration of your stay. Hours of operation: daily from 8:30 AM to Midnight. Last entry is 45 minutes prior to closing. The Burj Khalifa changes its timing for peak hours throughout the year. The times and costs on this page are current as of this comment, but it’s always best to check the Burj Khalifa website for the latest information. Hi, I believe there’s queues to get in the building if we don’t by fast entry..how long could be ? If I have ticket for 16.30 should I go to the queu at what time ? Thank you ! Mara, we recommend allowing at least one hour before your ticket time. Even if there aren’t many people scheduled for your time, the queue is rather long and engaging. I am in the middle of planning a layover in Dubai and this blog post helped me a lot in answering all my questions related to visiting Burj Khalifa. Thanks!! Glad to hear it! Enjoy Dubai. I want to visit aquarium as well as fountain show.How to book? Tickets for the Dubai Aquarium can be purchased online at the Aquarium website. The fountain show is free to watch from anywhere around the lake. Just arrive early to pick your spot, since the show is quite popular. You can see the fountain show schedule on the Dubai Mall website. If you prefer a closer view of the fountain show, boat tours are offered for AED 20 and can be booked through the Dubai Mall website.